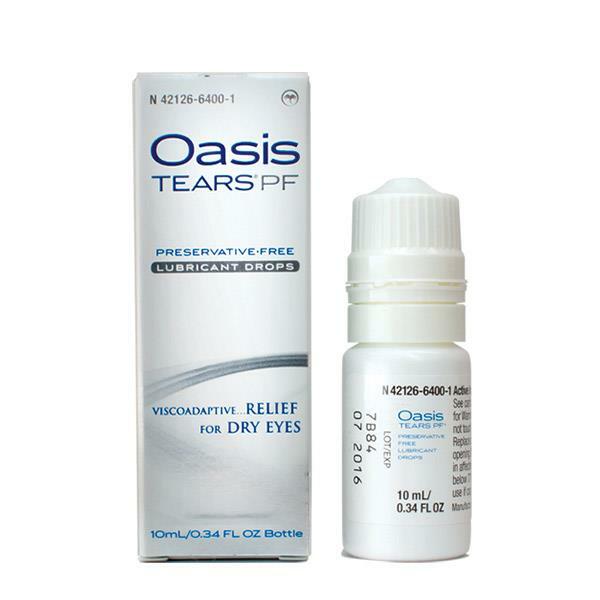 Oasis TEARS PF® Preservative Free Lubricant Eye Drops lubricate, moisten, and relieve symptoms of dry eye disease. Symptoms can range from irritation, dryness, burning, gritty (foreign body sensation), and may have other underlying causes. Symptom checklist for patients experiencing dry eye. Prescription pad for Oasis TEARS products. 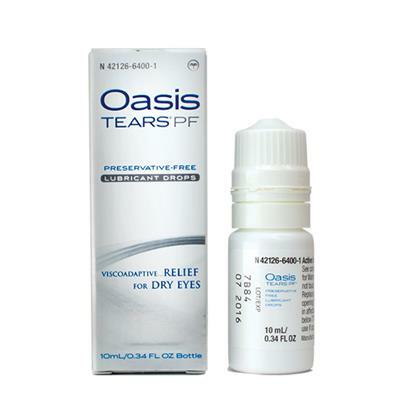 Description of dry eye treatment with OASIS TEARS and OASIS TEARS PLUS. Display stand for Oasis TEARS Patient Brochure. For placement in a location that can be monitored by staff members. Poster explaining tear duct anatomy, dry eye syndrome, and treatment with Oasis TEARS . For placement in exam rooms and hallways. Poster explaining dry eye symptoms. "I ensure quality patient care, earn patient appreciation, and grow my practice with Oasis TEARS." - Y. Ralph Chu, M.D., Chu Vision Institute. - Jason A. Sifrit, OD, FAAO, Cascade Vision Center, Renton, Wash.
"I have Sjogrens and dry eyes are one of the symptoms. I literally had dry patches on my eyes. I needed to have a product I can depend on to keep them hydrated and stop that gritty itchy feeling. I know it may sound cliche, but it's true!! My eyes are the desert and you are my OASIS! I've found a product that not only feels good when I put it in, but continues to feel good. I was so frustrated, but not anymore. Thank you Oasis TEARS!"